우리 몸의 조절은 전부 전기신호로 이루어 진다. 물론 일부는 전기신호의 영향을 받지 않지만..우리 몸의 메인 허드쿼터는 뇌이다. 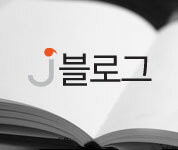 뇌에서는 전기신호(brain signal)가 생산되어 신경계를 통하여 정보를 전달하고 눈,귀,피부,혀,코 등 감감기에서 정보를 받아 뇌에서 판단하여 정보 전달을하여 우리 몸이 말하고 움직이고 반응을 하게 된다. 이러한 신경계의 반응은 사람이 전기를사용하고 부터 많은 영향을 받고 있으며 다양한 방해를 받으면서 다양한 질병에 들어가게 된다. 인공적인 전기도 있고 자연적인 방사선이나 전자파 등도 있다. 가장 신경을 써야 할 것이 잠자리의 수맥 전자파, 이부자리 베게 잠옷 등의 정전기나 살기 등이 있다. 대부분 이런 전자파-정전기-살기 등에 무신경이고 느끼지 못하고 살고 있지만 의외로 많은 사람이 이런 것으로 인하여 고통을 받고 암이 생기도 보이지 않는 질병에 걸리게 된다. 정신병자만 늙어서 뇌세포가 죽어가는 사람까지 포함하면 30% 내외라고 하고 CFS/ME, ADHD, mental disorder 등에 걸리는 사람까지 하면 거의 절반이상이 수맥 전자파나 이부자리 베게 등의 정전기나 인공 전자파 전기등에 영향을 받아 생기는 질병이다. 내가 주로 치료하는 분야가 이러한 인체의 전기 흐름이고 전기흐름이 차단되거나 방해되면 이상이 생기고 전기흐름을 정상으로 되게 하면 치료가 되는 병이 많이 있다. Electric shock is defined as a sudden violent response to electric current flow through any part of a person's body. Electrocution is death caused by electric shock. Primary electrical injury is tissue damage produced directly by electrical current or voltage. Secondary injuries, such as falls, are common. Unless otherwise noted, this article is referring to currents and voltages of 60 (or 50) Hz AC rms. Also, by resistance, we actually mean the magnitude of the impedance. High voltage refers to 600 V or more AC rms. Current refers to the amount of electricity (electrons or ions) flowing per second. Current is measured in amperes or milliamperes (1 mA=1/1000 of an ampere). The amount of electric current that flows through the body determines various effects of an electric shock. As listed in Table Table1,1, various amounts of current produce certain effects. Most current-related effects result from heating of tissues and stimulation of muscles and nerves. Stimulation of nerves and muscles can result in problems ranging from a fall due to recoil from pain to respiratory or cardiac arrest. Relatively small amounts of current are needed to cause physiological effects. As shown in the table, it takes a thousand times more current to trip a 20-A circuit breaker than it takes to cause respiratory arrest.